This guideline covers diagnosing and managing chronic heart failure in people aged 18 and over in primary care and the community. It aims to improve diagnosis and treatment to increase the length and quality of life for people with heart failure. 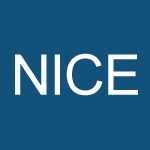 Updated guidance by NICE for the management of chronic heart failure in adults, with considerable changes made since 2003 and 2010. The Marvellous Mentors booklet provides a useful overview of the guidelines with emphasis on how they relate to practice in Primary Care. It is recommended that you read the full guidelines which can be found at www.nice.org.uk/guidance/ng106.